For vintage big band music - if you tune into BBC Radio 2 on Sunday nights, at 10.00-11.00pm, you will hear vintage big band music presented by Clare Teal but very little British Dance Band music from 1920's-1930s. -Malcolm Laycock previously presented the 10.00pm programme and played British dance band music from the 1920's - 1940's for about 30 minutes (Ambrose, Lew Stone, Roy Fox, Ray Noble, Al Bowlly, Sam Browne etc.) then for the remainder of the programme it was American swing (Miller, Shaw, Basie, Goodman etc). The BBC have now stopped broadcasting a dedicated British dance band music programme. On 16 November 2008 Malcolm Laycock announced that from his next show 23 November the BBC had instructed him NOT to broadcast half an hour of British dance band music. Malcolm's fans vigorously writing and e-mailing the BBC's producers and director to get this decision reversed. Sadly Malcolm Laycock died 8 November 2009. What happened at BBC Radio 2? Thank you for your email concerning the Malcolm Laycock programme on BBC Radio 2. A great deal of thought has gone in to the future of the Malcolm Laycock programme. For me, the main challenge has been how to represent what are now 80 years and more of music making by dance and big bands. The format of the programme that has existed up until now has been rigid and one that harks back to the days of Alan Dell on a Monday night. At that time the show was divided into 2 sections by a news bulletin and was in effect 2 separate programmes; one concentrating on British dance bands, the other on big bands. As you know, air time for big band music is in short supply and the existing format threw up a number of issues. Musically, what is a very specific style from a short period (dance bands of the 20's and 30's) was taking up half of the programme. In effect, this meant that the past 70 years of the genre was restricted to the second half. In other words, there was a lot of great music with limited opportunity to be played. This format has also restricted a theme being followed over the course of a programme and makes the inclusion of studio guests a problem too. Dance bands will still feature on the programme but for reasons of musical merit rather than fitting a format. Musically, the emphasis will remain very much on melody and the great British big bands will continue to be featured. The decision to alter the format is not one that has been taken lightly. However, I feel strongly that the change in emphasis will allow the whole of the big band genre to be better reflected. Hello - thanks for your email. Your question was put to me by the producer of Feedback. 1. It is not my intention to 'kill' anything. Over a long period of time I had come to the conclusion that Malcolm Laycock's programme was, in effect, 2 programmes. The main drawback was that the musical content was dictated by a format which stifled creativity. In future dance band items will be featured on Malcolm's programme. Less than were previously featured but as part of the overall mix. I will also be feeding back the reaction I have received from listeners such as yourself to Radio 2's management. Personally, I think that dance bands should be featured in their own right and hope to explore what may be possible in future by way of offers for short series etc. I can only deal with the programmes I am responsible for. What I am not responsible for is what does or does not get featured on other BBC networks or BBC local radio. This is a decision which has not been taken in the cause of populism but to provide listeners with a show that has more of a thread running through it. When making changes I was also aware that this would not win popularity contests in certain quarters. However, audience reaction such as '...I always switched off after the first half' has strengthened my feelings that something had to be done. Was Al Bowlly a great singer? Yes; and he will continue to be featured along with the others that you list. Does pre 1940's music lack merit? Merit is not bestowed by date - my use of this word is to emphasize that any examples of British Dance Band music featured on the show should be the very best of their kind - along with everything else that is played. I hope that this reply has gone some way to explaining my thinking and addressing your points. 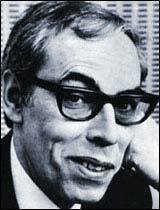 Back in 1968 Radio 2 broadcast a few special programmes celebrating the popular dance bands of the 1920's and 1930's, hosted by Alan Dell. 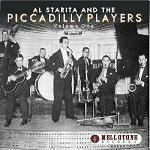 Featuring the bands of Ambrose, Lew Stone, Jack Hylton etc. these programmes proved immensely popular, after all most listeners over 45 in 1968 would have danced to these bands as youngsters. Soon Alan Dell was presenting a regular programme Dance Band Days and by the time I began to tune-in (1975) Alan's show was on Monday nights at 7.30pm, somehow competing well with Coronation St. After the death of Alan Dell in 1995 the show was presented by Malcolm Laycock, and Malcolm continued with the show on Sundays at 10.00 - 11.00pm, with the first half hour devoted to British dance bands from mid 1920's - mid 1940's. From 1995 to September 2005 Malcolm was aided by producer Roy Oakshott, but in October 2005 Bob McDowall became executive producer and has now axed British dance bands form the playlist (November 2008, see above). In the last 20 years there have been numerous CD's issued of British dance band music, benifitting from the audio restoration technology that can be applied to 78rpm records using computers and noise-reduction software. Many of the tracks played on Malcolm's show were from new commercial CD's. Nowadays though, computers and audio software are available in many homes and record collectors can restore some of their own old record collection. Some collectors sent the results to Malcolm and most shows he played one or two rare tracks restored by collectors, including yours truly here. On July 26, 2009, Malcolm Laycock announced that he was leaving Radio 2, and sadly he died 8 NOvember 2009. The BBC have now stopped broadcasting British dance band music so for now John Wright is presenting his own show on the internet. British dance band records from the 1930's can occasionally be heard on the Radio 2 shows presented by Desmond Carrington and Russell Davies. Vocalion, digitalised re-issues of British dance bands, from Dutton Labs. See their website. check out Past Perfect website for details of their re-issues of music from the 1920's - 1940's.